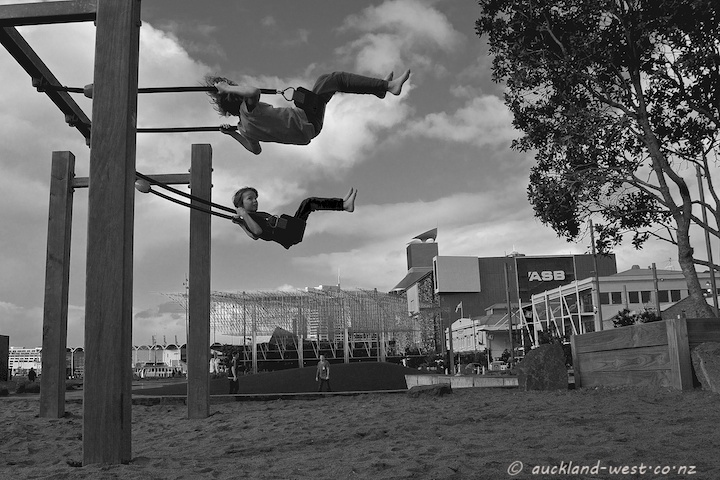 The Wynyard Quarter playground is always a winner with our grandchildren. On a fine winter’s day. More Skywatch images at the Skywatch Site! 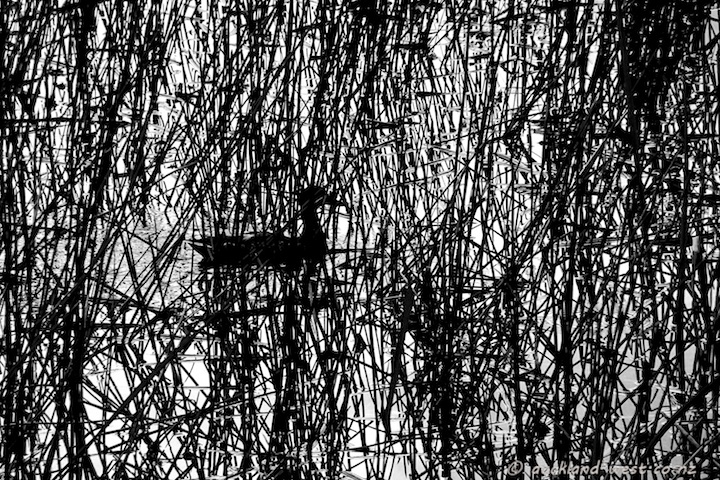 It came running down the slope at full speed, crossing the path, disappearing in the shrubbery by the edge of the lake, where it got a hero’s welcome. 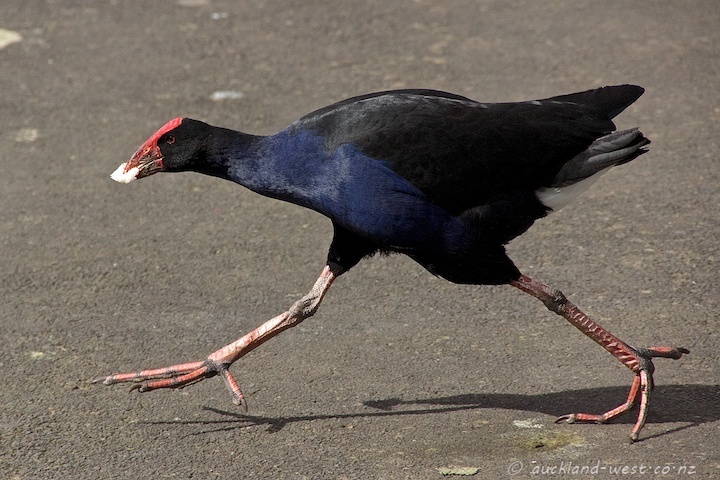 The pukeko (swamphen, porphyrio porphyrio) had found a morsel and delivered it to a couple of youngsters sheltering in the thicket. 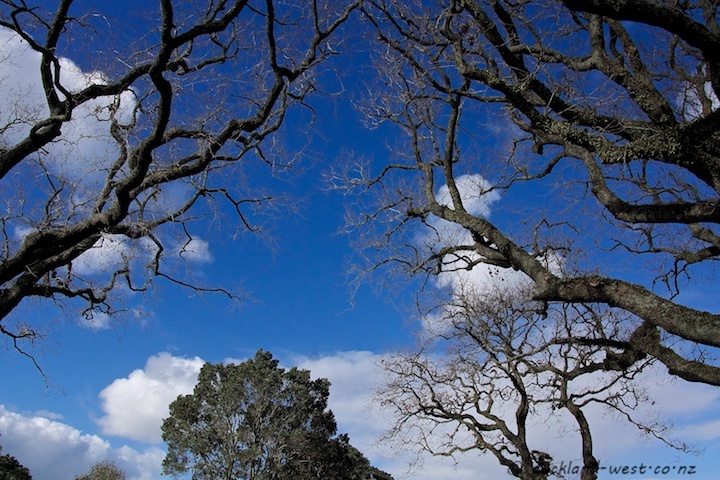 Western Springs. August 28, 2013 / paul / Comments Off on BLUE! 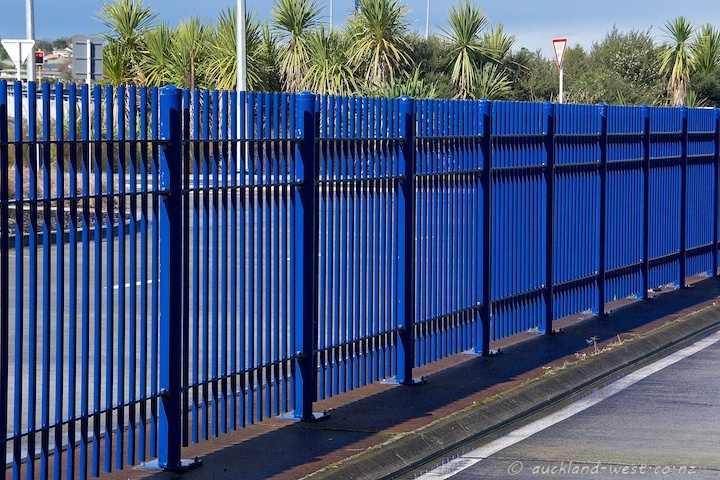 The barrier fence at Akoranga Station on the North Shore: too blue to miss! 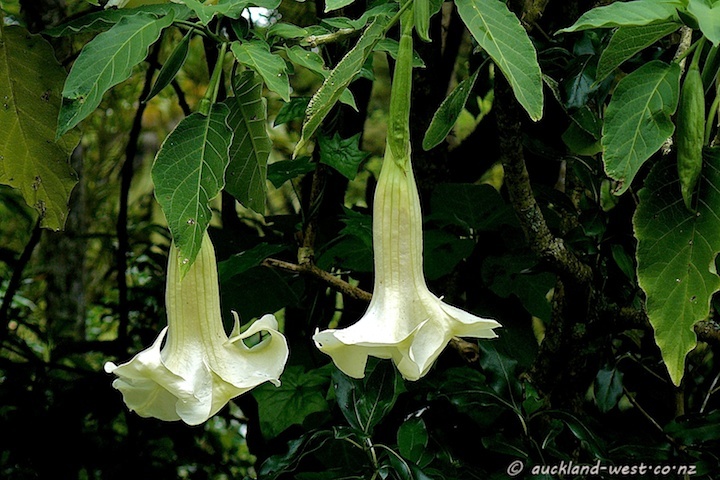 These plants flower all year rond; no sooner have the blooms died off that a new wave of flowers springs up. Pretty to behold, but dangerous in the wrong hands because of its hallucinogenic effects (“terrifying rather than pleasurable” according to wikipedia). August 26, 2013 / paul / Comments Off on How Convenient! 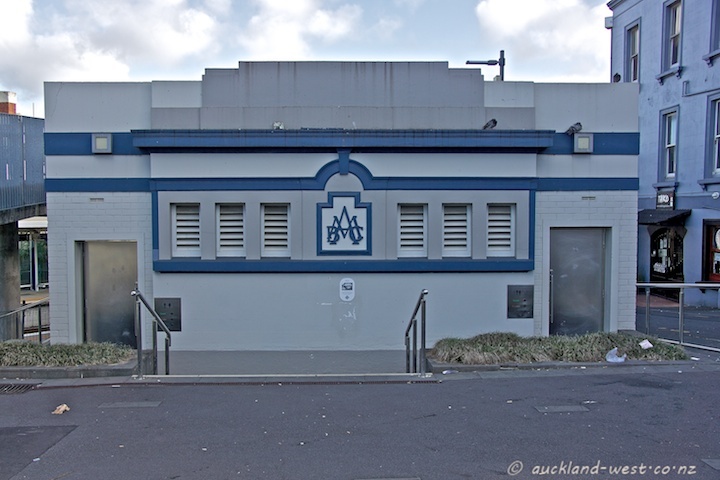 Art Deco style public toilet building, built in 1928 (at 448 New North Road). 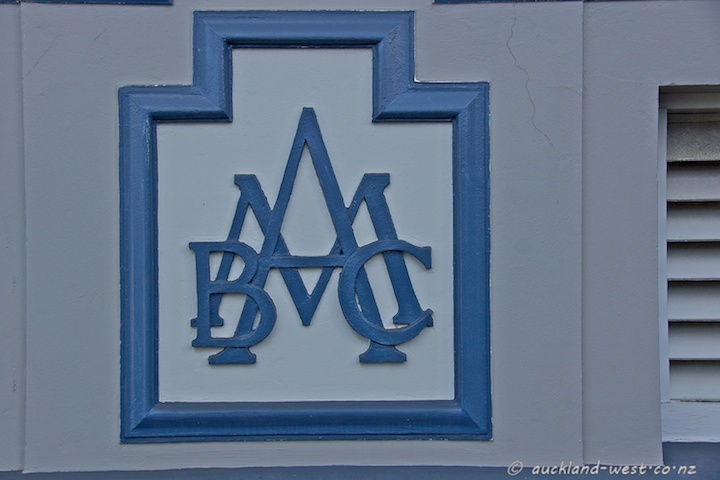 All neatly refurbished, with a reminder of the past in the form of the old Mount Albert Borough Council logo – the borough became part of Auckland City in 1989. 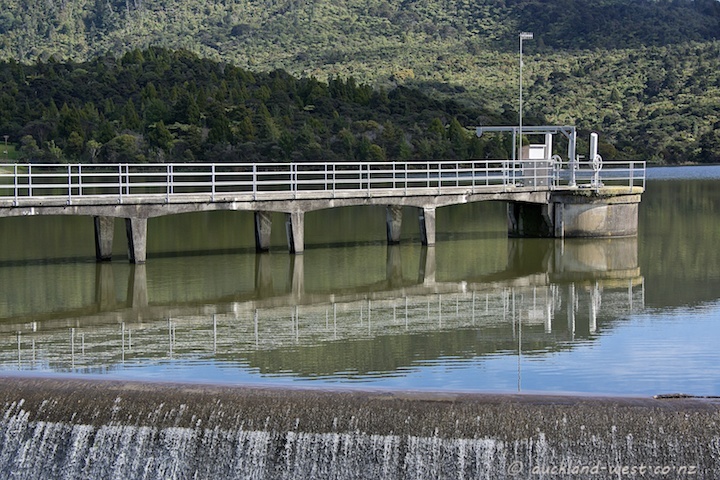 One more from the Lower Nihotupu Dam, as it is full to the brim and overflowing (it’s part of our drinking water supply, so that’s good). After last nights torrential downpour, today’s overflow should be even more spectacular than what I saw a few days ago. The reeds at the edges of the Lower Nihotupu Reservoir are a beautiful mess at present, with remnants of last season’s growth and new shoots coming up. Through all this, and in direct backlight of the midday sun, a mallard duck finds its way – appealing to my sense of mischief. 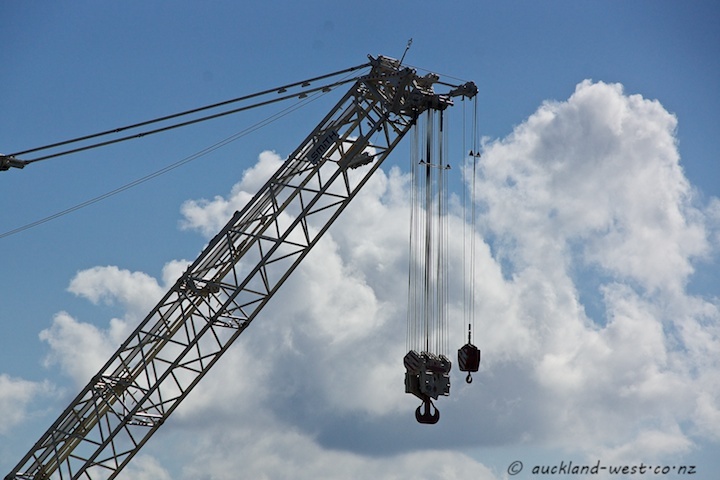 Some pretty heavy lifting gear is lined up at the construction site of State Highway 20. Lights, reflections, stainless steel bars join together to synthesise a surreal image. 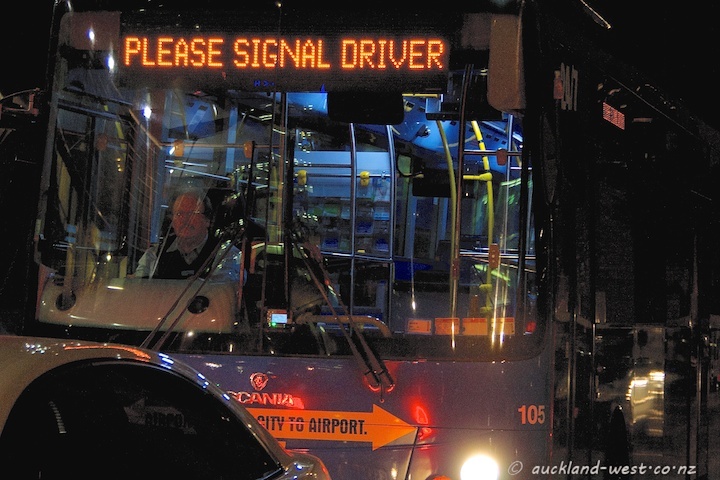 City to Airport bus.